Ever imagined the absurdity of using candles for delivering a pregnant woman of her baby at night? 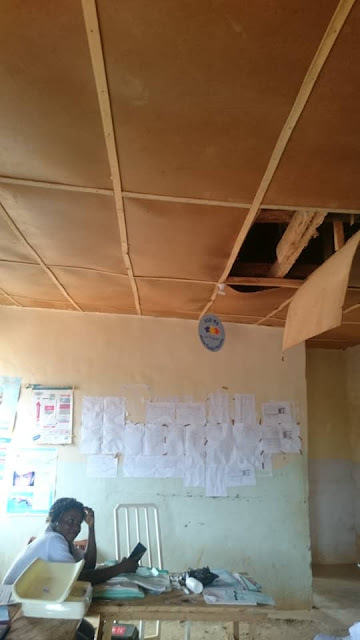 Well, that absurdity is the norm at the Kuchiko Health Clinic which serves as the Primary Health Center of the community under the Bwari Area Council in Abuja. The clinic has been grossly neglected and the people that are supposed to be served are left to their fate. Everything wrong with a Primary Healthcare Center is evident in this very dilapidated facility. A careful inquiry into why this is so reveals that it has probably been like this since time immemorial. First, the facility was built by a youth corps member serving in the community after witnessing the lack of access to basic healthcare for people in the community. The clinic building project was facilitated by Ilo Benjamin Maduka and commissioned for use in 2014. Since, the clinic has continued to serve members of the community and still see an average of 10-20 patients daily despite its state. According to facility staff who pleaded anonymity, there are no nurses or doctors. They have to make do with what they have which is - three government workers, three volunteer staff, a cleaner and two securities. 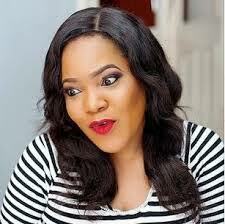 Some other facility staff said they need any form of power supply - PHCN, Generator, Solar etc. because they are desperate. Beyond illuminating their offices and workplace to enable them go about their duties, the importance of stable power in primary healthcare delivery is too great to be ignored - From powering basic medical equipment, to providing appropriate storage for vaccines and other consumables to even preventing injuries from accidents. Yet, this is lacking and there are no efforts to address it. It is interesting to note here that the clinic is located less than 5km from the Nigerian Law School and less than an hour drive from the capital city of Abuja. It is ironical that citizens that ought to be protected by the laws of their country and provided healthcare as a basic human right are ignored. 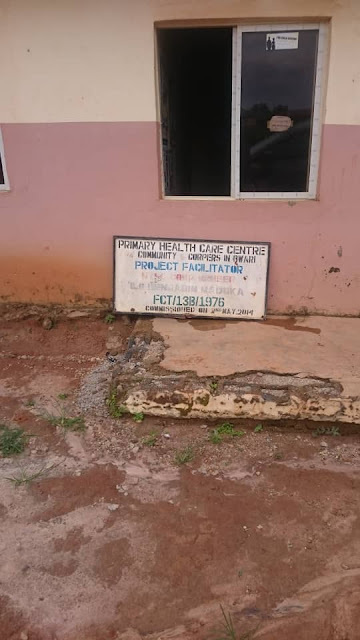 This is happening even as the Federal Ministry of Health through the National Primary Healthcare Development Agency continues to push for PHC revitalization. When the need arises for obtaining hot water for various reasons including sterilization, they rely on stoves and for immunization of children for vaccine preventable diseases; they collect vaccines from other facilities, use and return to their area council health center because they have no cold chain storage facilities for preserving the vaccines. As to be expected, they are unable to run shifts for a 24 hour service, but dedicated members of staff are always available to help patients when there are emergencies at night. Personal protection of equipment is nonexistent in the clinic. The staff narrated a case when there was blood spill during a delivery and all attending staff were affected. What if the patient had a communicable disease or other diseases of epidemic significance? This would have probably resulted to a disease outbreak. Stakeholders continue to pay lip service to Primary Health Care even though majority of healthcare needs come from the primary healthcare level. Evidence suggests that functional primary healthcare systems can address 80% of Nigeria’s disease burden and create nearly 300,000 jobs. Having functional primary health care systems directly affects 11 of other Sustainable Development Goals (SDG), so it becomes a missed opportunity to achieve national and global development. 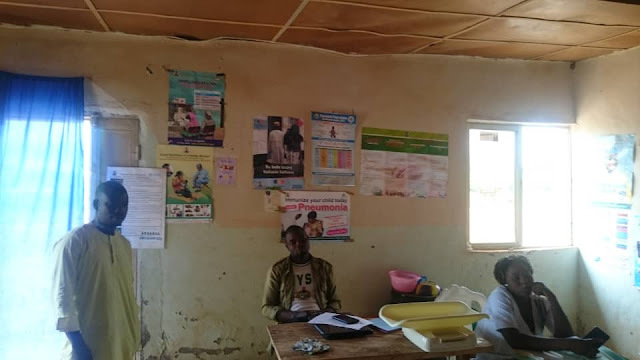 The facility staff strongly believes that the current state of the facility especially the lack of power supply over four years has negatively impacted on their productivity and according to them, addressing this will not only improve their job performance but also increase the number of patients who visit the clinic to access health services. A corps member serving in the community revealed that there might be misconceptions around alternative sources of energy especially solar. Most of the community members consider it dangerous. This provides an opportunity for stakeholders and organizations in the alternative and clean energy space to educate them on the convenience and security it offers. Health should be a human right and members of Kuchiko community deserve it as citizens of the Federal Republic of Nigeria. They are part of the demographic and should not be denied access to healthcare because of their location. One of the tenets of Universal Health Coverage (UHC), is access and every Nigerian should be able to access healthcare no matter their location.